When it comes to artificial hips, there are essentially two types of operation: Hip Replacements and Revision Hip Surgery. End of story. Well, not quite. The history of hip surgery certainly covers Hip Replacements. In fact the ancestor of modern implants was first introduced 56 years ago this month by the pioneering British surgeon Sir John Charnley. But then, in the 1990s, something else came along. It was a procedure called Hip Resurfacing. And that’s what I’d like to focus on here. The story of Hip Resurfacing really starts with a problem. Men tend to put their bodies under a lot of strain. Particularly young, working-age men. So when younger men started having the earliest hip replacements, they often wore them out quite quickly, sometimes even within 10 years. A Birmingham-based surgeon called Derek McMinn decided to do something about this. McMinn had noticed something about a type of metal hip that had been used in the 1970s. The implants didn’t seem to have experienced the same degree of wear as regular prostheses. So he asked engineers to use the material to develop a new kind of hip replacement. The result was Hip Resurfacing. 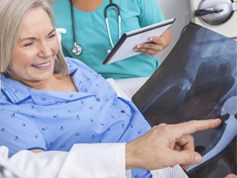 In a traditional Total Hip Replacement (THR), we remove both the ball and socket of the hip joint (the femoral head and acetabulum) and replace them with artificial parts. With Hip Resurfacing, however, the surgeon reshapes the ball instead of removing it, so that he can fit it with a specialised metal cap. 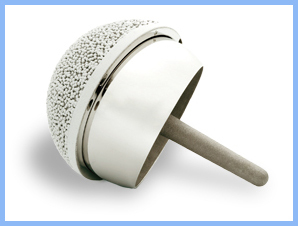 The cap fits into a cup-shaped implant on the surface of the acetabulum, creating a new joint with a very low rate of wear. The operation has a number of advantages over THR. One is that it conserves far more of the natural hip, since we only have to remove a few millimetres of bone to fit the implants. Another is that it fits the anatomy more precisely. This means dislocations are almost eliminated. When it comes to younger patients, the results can be profound. In essence the implants tend to last longer, under greater impacts. 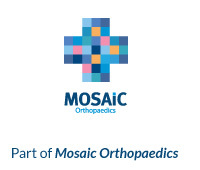 We now have good results from the Royal Orthopaedic Hospital in Birmingham, where McMinn pioneered the technique, for implants that were fitted 20 years ago. Every surgical procedure has its advantages and disadvantages, and Hip Resurfacing is no different. Resurfacing isn’t for everyone. For one thing, it requires good bone quality in the surrounding joint. Factors like smoking, obesity and steroid use can increase the risk of developing softer bones, which may not provide an adequate surface for the Resurfacing implants. This is one reason why we tend to recommend the procedure for younger men (typically men aged under 55), since bones weaken with age. For older patients, THR is likely to be more suitable. Resurfacing has also become less popular in recent years due to concerns about the metal components used in the implants, a subject I touch on in my video about Resurfacing at TheHipSurgeon channel on YouTube. That said, outcomes for many working age men who have had the Birmingham Hip Resurfacing and the ADEPT system (which evolved from the BHR) have been excellent. We are also beginning to see new ceramic implants coming onto the market, which are widening the choice available to patients. For someone who has been offering Resurfacing for many years, that’s an exciting development. I actually trained under Derek McMinn as a senior registrar in Birmingham. His work was one of the things that inspired me to become a hip surgeon in the first place. Years on, it’s still gratifying to see how hip surgery – of all types – has helped people live richer and more active lives. If you’d like to find out more about the options available, it goes without saying that we would be delighted to help. You can drop us a line here, and we’ll get back to you as quickly as we can.